Hartland Carriages is owned and run by Joanne Hartland. Joanne has many years experience in the world of carriage driving, starting with her involvement in breaking and schooling driving ponies and from then on she has been extremely successful in horse driving trials at national and international level, private driving, coaching and when her time permits, training and assisting other drivers. Joanne began the company initially on her kitchen table,as a carriage lamp repair facility and then progressed on to the sale of lamps and accessories, made by a loyal team of outworkers all working from their homes. Very quickly Joanne was getting carriage enquiries and so she started to source reliable engineers to build a range of carriages. Her travels took her world wide to source the best expertise and production facilities that could be found. 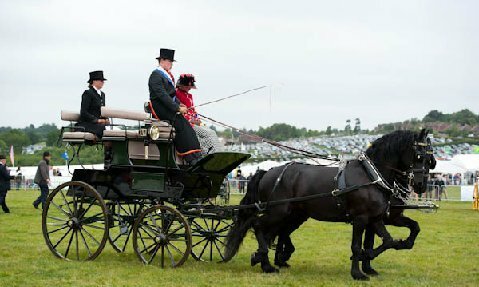 Since those humble beginnings Hartland Carriages have built up their outstanding range of high quality carriages for all sectors of carriage driving: Competition, Pleasure, Commercial, , Trade, and Agricultural uses are all catered for by our workshops. We also have the facility to build bespoke carriages for virtually any use! We can supply carriages to suit everything from miniature shetlands and donkeys through to 19 hand Shires. Joanne Hartland, MD of Hartland Carriages is ably assisted by an enthusiastic group of experienced staff. Michael Hartland heads our office and sales / service team. Michael is very experienced , having worked within the company for a number of years since finishing his degree in 2012. Michael has been factory trained and he is on hand for all technical enquiries. 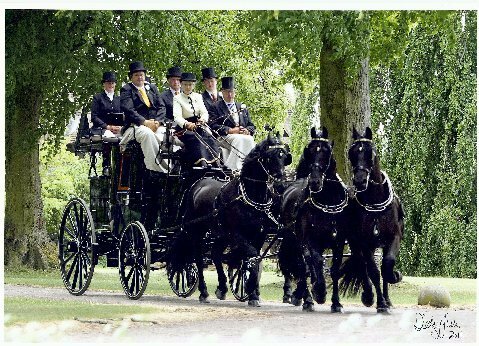 Michael is an experienced coachman having competed and driven commercially with single, pairs and tandem turnouts, he can help with driving enquiries. Our horses are all cared for and looked after by our full time groom Jack Foote. He has a number of years experience working with driving horses. Madeline is in charge of our accounts.